Significant changes to the Rules of Civil Procedure relating to administrative dismissals appear in Ontario Regulation 170/14, published in the September 6, 2014 Ontario Gazette. Specifically, the existing Rules 48.14 (Action not on trial list) and 48.15 (Action abandoned) were revoked, and a new Rule 48.14 (Dismissal of an action for delay) was substituted in their place. 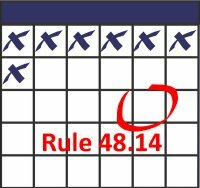 For ease of reading, all references to Rule 48.14 in this article are to the new rule, unless noted. In the past three years, LAWPRO has experienced a significant spike in the number and cost of claims involving administrative dismissals. We are hopeful the provisions in the new Rule 48.14 will help reduce administrative dismissal-related claims. However, there remains a claims risk if lawyers do not comply with the requirements under the new rule, or are not aware of the operation of the transition provisions. The major change is that an action will be dismissed for delay if not set down for trial by the later of five years after the commencement of the action or January 1, 2017. 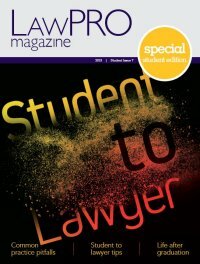 LAWPRO encourages all lawyers to take steps to familiarize themselves with the requirements under the new Rule 48.14, and in particular, the transition provisions. Please update the dates in your tickler systems to reflect the new administrative dismissal and ultimate set down deadlines for all your open files. Remember: the courts will be dismissing actions without sending notices of any type – your tickler systems must remind you of relevant dismissal deadlines. We will be providing more risk management advice to the profession as the changes under the new Rule 48.14 are being phased in. And as there is the potential for a malpractice claim, please contact LAWPRO promptly for advice if you are required to attend at a contested show cause hearing.